Want to see what we offer before dining with us? 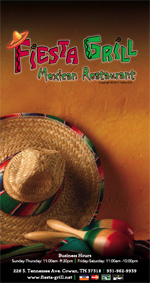 Download our full menu and check out all of the fabulous dishes, freshly made, right here! Can't dine in? No problem! Check out our lunch specials and call us with your order TO GO! And don't forget DESSERT! View our mouth watering selection HERE!